It is nice to have a good home, nice family, and a lovable pet. But since pets cannot take care of themselves, they can be messy and hard to handle. So, worry no more! Here are some tips to make it easier for you to maintain your rental home or your apartment clean and tidy even with your pet in it. A cover can help a lot with dust and fur. This might not be a cleaning tip but it will help you make cleaning much easier. Simply remove the cover if you have to clean it and put it in the washing machine. You do not need to buy an expensive cover as it will only be dusted and your dog or cat might ruin it by scratching. Sweep or vacuum more often. There are times when pets shed so much fur and stick through your couch and in areas where you cannot see it. It is advisable to vacuum every once in a while to prevent it from piling up all over your house which can cause harm to your health. 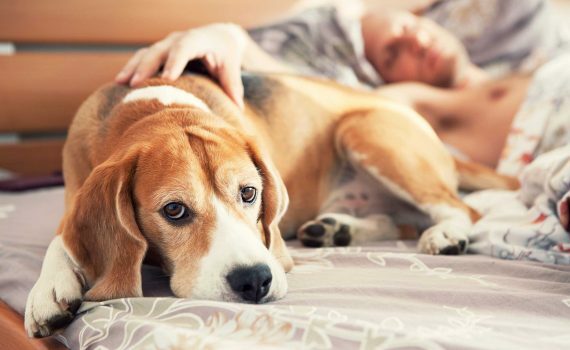 It is hard to handle a sick pet since it vomits anywhere in the house as they cannot control it. Take this advice for the president of cleaning company Molly Maid, Meg Roberts, “If your pet vomits on a carpet, remove solid material with a paper towel. Coat the area with an equal mixture of baking soda and salt, then let dry. Finish by vacuuming and blotting with club soda”. Coil or clip the wires together. Pet usually have the habit of chewing anything they like and this includes electrical wires which can be very dangerous. There are several things you can buy in a hardware for cable managing. Clip the wires together and store them up high where they can reach it. You can also tape them on the back of the table or baseboards to make the wires stay put.